Last week I recounted my experience meeting Michael Hogan of Battlestar Galactica fame at ConCarolinas this year. I also had the distinct pleasure of meeting Joel Hodgson, creator of Mystery Science Theater 3000. If you don’t know what that is, go find out and watch. It’s one of a kind. They say you should never meet your heroes, but so far I’m having a blast. I found Hodgson to be one of the nicest people one could ever encounter. Much like Hogan, he refused to stay planted behind his table. In fact, as his guests were backing up between the vendor tables, he worked the line, making sure it was straight. He shook hands with us and chatted, keeping us company while we interacted with his assistant in sorting out our prepaid tickets. 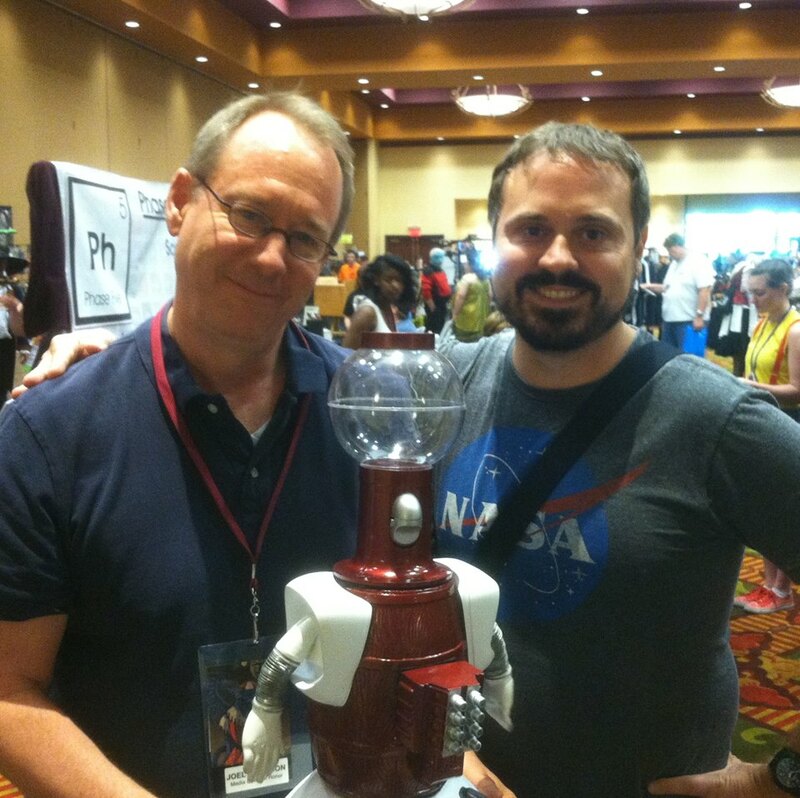 Finally I got to have a picture with him and his traveling Tom Servo. After paying the appropriate fee, I was initiated into a secret society that I am not at liberty to discuss with outsiders. Last but not least, I got a stack of books signed by John Scalzi, including a first edition hardback of Old Man’s War in excellent condition. 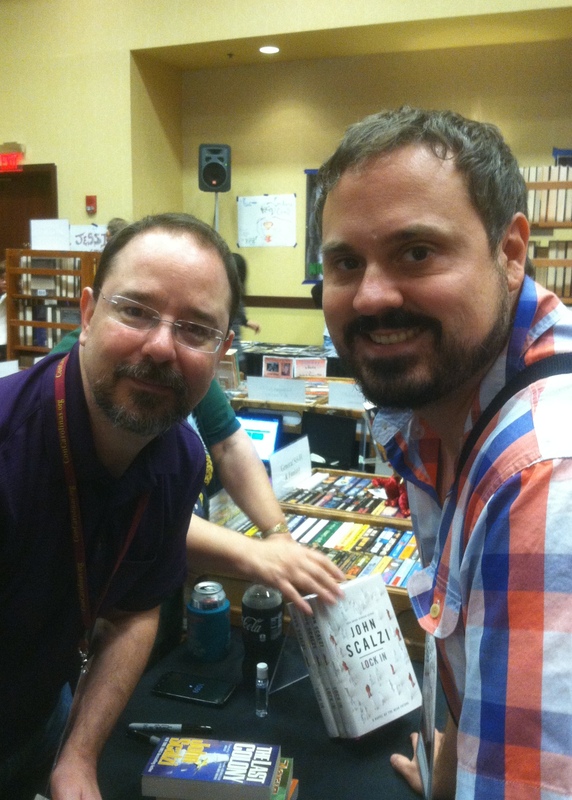 As the nearby bookseller put it, Scalzi might be the next big thing in science fiction. He is certainly one of my favorite authors. This was my second ConCarolinas, and the experience just gets better and better. I can’t wait until next year!